The staff will be involved in In-Service training at Ty Dysgu in Nantgarw on Thursday 31st January 2013. This training was arranged by the LA and is part of the Authority's response to the Welsh Government’s National Literacy Strategy. All schools in RCT will undertake this training and I decided that it would be more effective to send the staff on the same training day rather than individuals attending training courses separately. By sending them on this day I have also avoided the necessity to employ visiting teachers to cover the classes for the days they needed to at Ty Dysgu. This would have incurred an additional £1325 to cover the cost of visiting teachers. This will be the fourth of five permitted In-Service training days allocated by welsh Government. Please make alternative childcare arrangements for this day as school will be closed for all pupils. 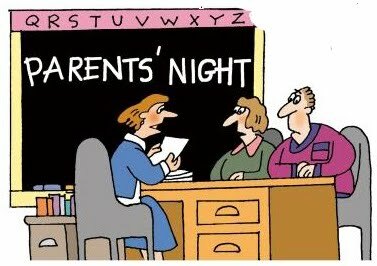 Letters were distributed today containing details of the arrangements for next week's parents evenings. 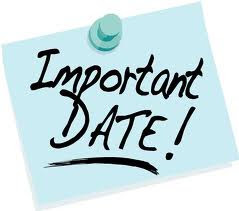 We would like to offer you an appointment to discuss your child’s progress with your class teacher next week beginning on Monday 4th February until Thursday 7th. The teachers are working at different time during the week and a list of their appointment times are included below. • You are invited to report to the school main hall FIVE MINUTES prior to your appointment where you will be taken to meet your child’s teacher by one of our Year 6 pupils. • The bell will ring after each ten minute appointment. • Please will you complete a parental response form after your appointment commenting on your child’s achievements and progress to date. • Please will you ring Mrs Thomas, the school secretary to make a specific appointment or if you are available to come at any time then an appointment will be made for you. • You will receive confirmation of your appointment be letter on Friday. Please fill in the appointment times on the sheet outside the Nursery, Reception, Year 1 and 2 classrooms. A copy of the letter is available on our Moodle site by clicking here. Congratulations to Erin and Rowan on being successful in winning the Gelli heat and going on to represent the school in the semi final stage. We will post their performances and other videos and photographs on this site soon. This year's Gelli Primary School heat of the Treorchy Male Choir Junior Musician of the Year Competition takes place in the school hall tomorrow afternoon at 1.00 p.m. We welcome the members of the choir who will act as adjudicators and Mr Tony Davies the competition organiser as well as any parents of pupils who are competing to join us. Welcome to our newly created Gelli Playgroup Blog. There is a link on the sidebar to this new site which, if it is as successful as our main blog, will keep parents up to date with developments. The recent inclement weather has caused the delay in the sessions being carried out, however, we see this as an ideal opportunity to provide your children with a safe and secure play environment in which to begin their "Great Educational Adventure" with us. We will be contacting parents to make sure that they are able to access this site and keep in touch with this development. Thanks to our caretaker Colin for working so hard in clearing the snow so that school could take place today. Over the past few days he has been clearing the site of snow, then the ice that formed on top and salting the areas so that walkways could be made safe for school to be possible. Diolch yn fawr. 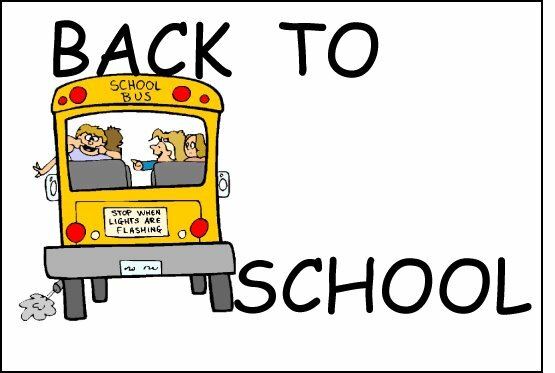 SCHOOL IS OPEN 24th January 2013. Paths have been cleared by the caretaker and Breakfast Club will open as usual. 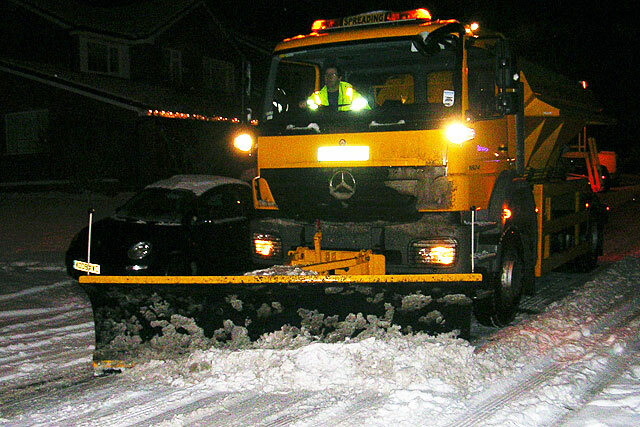 Plesae wear appropriate clothing and footware and take care when using untreated roads and pavements. As there is no further forecasted snow please assume that today will be a normal school day. If any unexpected changes occur please make sure that you have your mobile phones at hand for any urgent messages. 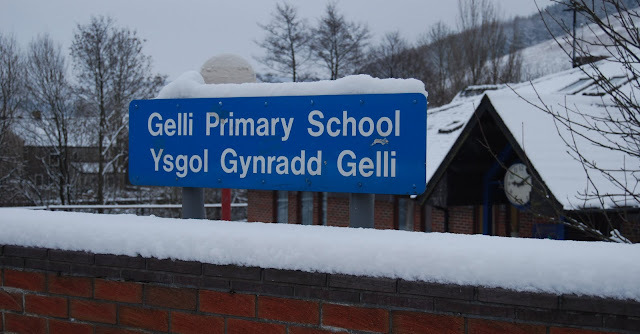 Due to the uncertainty of the conditions around the school and chapel in the morning we have decided to postpone the first session of the new Gelli Playgroup. until next Wednesday. Please can parents inform others from the group as we are unable to use our Text 2 parents service for this group at present. The conditions outside on the pavements and access roads and inside the school environs have improved as the day has progessed. I am confident that the additional clearing that Colin has undertaken this afternoon and those he proposes to do in the morning will mean that we can open school as usual in the morning. I plan to be on site by 7.30 a.m. at the latest and confirm that school will be open at that time. I will text a confirmation text as soon as the decision is made. The weather forecast for the next few days is favourable and hopefully we will be able to resume the children's education. Please keep a look out for the text messages in the morning. I would be grateful if staff could inform me if they are unable to report to school in the morning before 7.30 a.m. so that I can assess staff / pupil ratios. Thank you for your continued co-operation. Due to heavy overnight snow school is closed on Wednesday 23rd January 2013. More details to follow. The play group which was due to begin today has also been postponed. Please share this information. Update on weather forecast for Wednesday 23rd January 2013. The following statement has appeared on the Rhondda-Cynon-Taff County Borough Council website. Following conversations with our weather forecasters, please see the following. 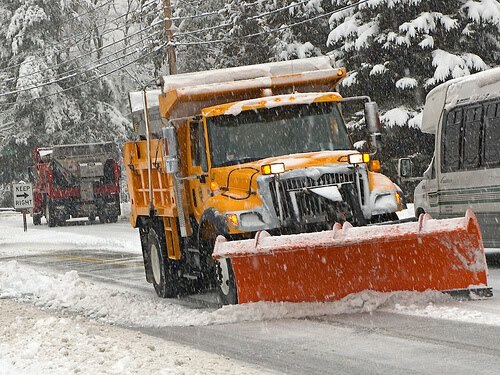 For the rest of today, the County Borough will continue to be affected by isolated snowfall though this is expected to ease through the evening and further significant accumulations are not expected. 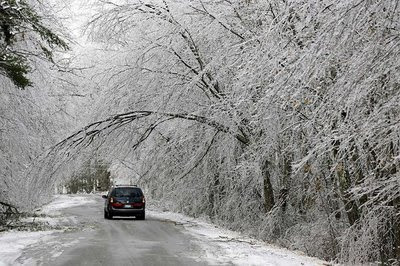 A weather front threatening snow is then forecasted to move into the County Borough from the East after midnight. Accumulations expected between midnight and midday tomorrow are currently forecasted to be 4-6cm on higher ground and 1-3cm at lower elevations though exact accumulations are very difficult to predict and higher totals cannot be ruled out. Further snowfall is then expected through the rest of Wednesday and further accumulations of 3-5cm are possible. Further updates will be issued as the situation evolves. Due to this forecast of continuing adverse weather conditions, with the risk of more and snow causing further major disruption to the highway network, the Council has decided in the interest of public safety to withdraw all the school transport provision organised by Rhondda Cynon Taf County Borough Council for tomorrow Wednesday 23rd January 2013. 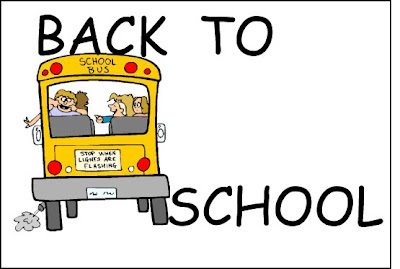 Therefore no schools transport will be provided for Rhondda Cynon Taf pupils to schools in the County Borough or to schools in adjacent local authority areas. As a result I will be assessing local conditions early in the morning and contacting staff and parents by text informing you of any disruption to school. Please make alternative arrangements for childcare. I will post additional details on here as usual. Due to the result of overnight snow school is closed today. The Caretaker was able to clear a pathway into school very early this morning but a further heavy shower at 6.10 a.m. meant that his efforts have been in vain. I made the decision to close the school at 6.45 a.m.. Having spent the last few hours on site and making a very slow jouney up through the valley behind cars that were sliping on the main road in Ystrad I am sure that you will agree that it was the only sensible decision to make under the circumstances. The Caretaker has agreed that he will endeavour to keep the pathway into school as clear as he can although with more snow forecast over the next 48 hours we will need to monitor this situation. Please will you keep your mobile phones at hand for text updates this week. The statistic report shows that out of the 208 pupil numbers wehave on file only 2 messages didn't reach their destination and the blog registering 688 hits on Sunday and positive feedback from our social networking sites home school communication seems to be at its most effective in ensuring that we are able to communicate with everyone in this challenging time. Thank you for your co-operation and understanding. With the revised weather forecast predicting heavy snow showers during the day we will adopt the same policy as we did on Friday to inform everyone of a possible school closure tomorrow as early as I am able to assess the weather in order that any unnecessary journeys be made in inclement weather. Please keep a look out for a text message on your phone between 7 and 7.30 a.m. and assist by telling your friends and family. Unless we have some upexpected overnight change in weather conditions the school will be open tomorrow morning Monday 21st January 2013 as usual. Breakfast club will be open from 8 as usual. There are paths cleared to the school main door, but the pavements leading from all directions are icy and I advise you to take extreme care when bringing children to school in the morning and wear appropriate clothing and footware. I plan to ask the staff to inform me by 7.30 a.m. if they are able to report to school as usual. If I don't have sufficient numbers to maintain an appropriate adult pupil ratio I will text to parents before 8.00 a.m. to inform you of the closure of the school on these grounds. In the morning we will contact the Bus company and the Swansea Museum to see if the proposed trip to the World war experience can take place. I would think that unless there is a change in circumstances the trip will go ahead as planned and pupils should come to school prepared to make the trip. I will text parents confirming arrangements for the morning and update this site and the social networking sites. Please will you inform friends of these arrangements. I am proposing to undertake a site visit this afternoon to assess the situation in school so that I can determine the probablility of the school opening in the morning. At present there is a yellow weather warnings in place for ice on Monday morning but the weather forecast does indicate that conditions will be cold but sunny intervals are forcast for the morning. The caretaker has cleared a path from the school side gate to the main enterance and will be in school early to grit the path. I plan to be in school by 7.30 a.m. and will make a decision whether school is open by 8.00. at the latest. Please keep an eye out on this site for updates. I will use our texting service to inform you of any update placed on here and use the social networking sites as well. The latest news from the Met Office has turned into a Red alert. Click here to go to the website. A newsletter informing parents of a possible disruption to school due to forecasted overnight inclement weather was distributed by pupil post today. A copy has been placed on the school moodle site and can be read here. School is OPEN as usual. If the weather deteriorates we will use our Text 2 parents service to inform you of school closure. With the advance weather forecast predicting snow on Thursday and Friday 17th and 18th January 2013 can I take this opportunity to remind parents of our procedures for emergency closures prior or during school. We only close the school in extreme circumstances if I feel that there is a health and saferty issue. We will use our Text to parents service to inform you of an early closure if school is closing or prior to school to avoid any unnecessary journey. 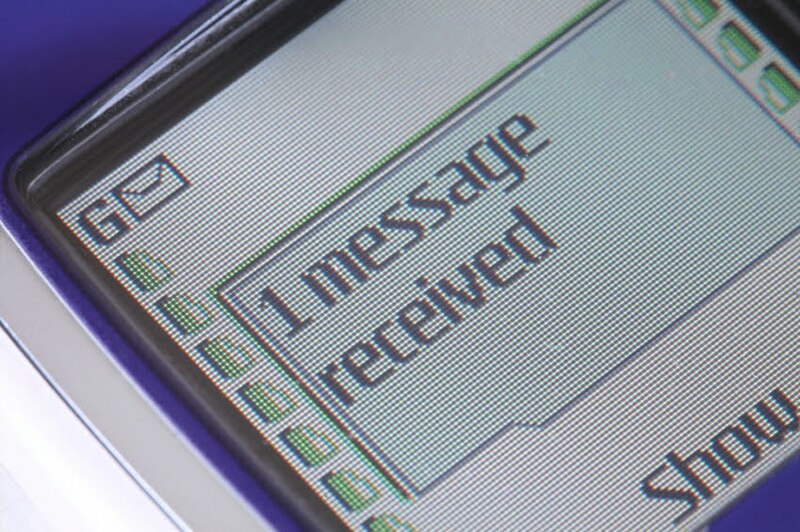 PLEASE KEEP YOUR MOBILE PHONES AT HAND TO RECEIVE AN UPDATED MESSAGE. 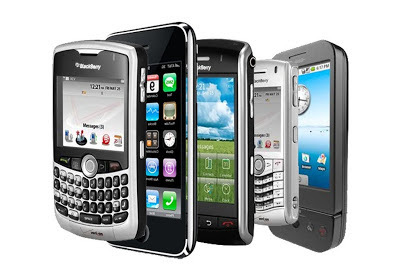 If you have recently upgraded your phone or changed the number please update your records with us by contacting Mrs. Thomas in the school office. The School website "LATEST NEWS PAGE" is always updated with information. Click here to visit the RCTCBC Emergancy School Closure page. I will also place a message on this blog, on the Friends of Gelli Primary School Facebook page and tweet from the school's Twitter account. Hopefully, this will enable you to keep in touch with the current situation. This year's school heats for the Treorchy Male Choir Junior Musician of the Year competition will now take place on Tuesday 29th January 2013. Please encourage your child to participate either in the vocal category or the instrumental category. Parents are invited.to attend to hear the pupils perform. Details will be included in a future newsletter.